The Wizards swept the Toronto Raptors!!!! 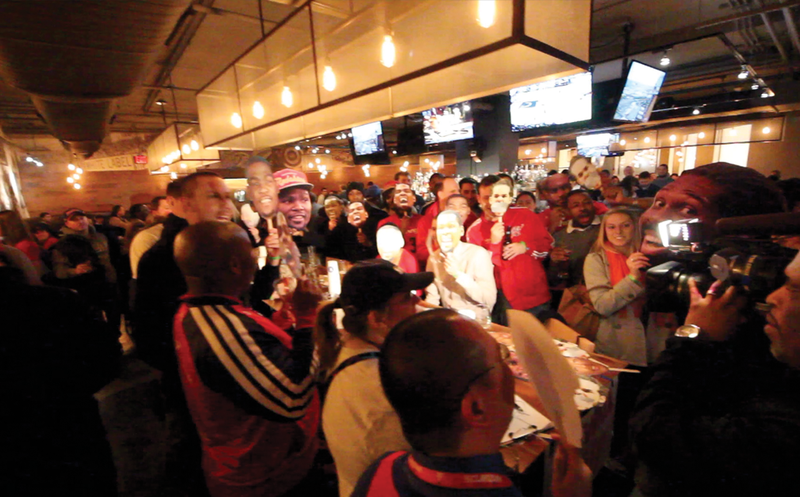 Beforehand we had an amazing time hanging out at RFD and talking basketball. 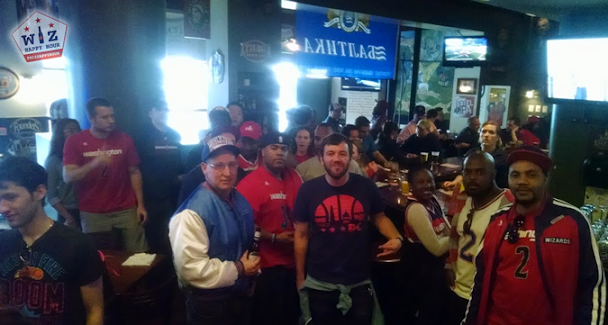 There were brooms in the house, Wizards chants and of course a great selection of beer (Photos). 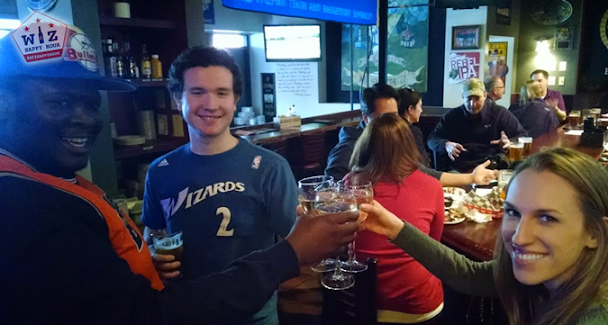 The evening started out with a Champagne toast as one of Wiz Happy Hour Leaderboard-goer Tolu finagled a half price bottle of RFD's finest $14 champagne. 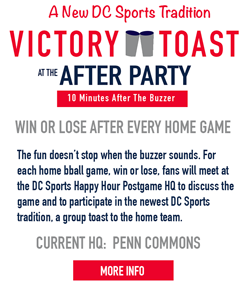 The pregame victory toast was just a sign of things to come as the Wizards utterly destroyed the Raptors to sweep them out of the playoffs. Hanging out before playoff games is one of the most fun pregames there is. The excitement in the air can never be matched in the regular season.